China Electric Bicycle manufacturer, Electric Bike, Folding Electric Bike supplier - Hangzhou Monca Technology Co., Ltd.
Electric Bicycle, Electric Bike, Folding Electric Bike manufacturer / supplier in China, offering Adult Cycle Kick Scooter Foot Bicycle City Bike Black Green Lady Outdoor Vehicle, White Color E Scooter Foot E-Scooter Popular Electric Bike Bicycle Kids 12′′ Tyres Kenda Shimano, Newest Kick Scooter Foot Scooter for Kids and so on. MONCA BICYCLE is a professional bicycle manufacturer located in Hangzhou City, Zhejiang Province, China. 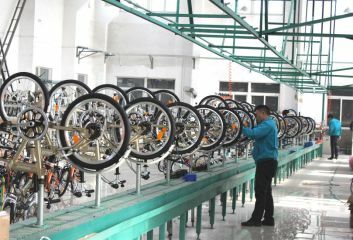 We are producing various kinds of bicycles for more than 12years.